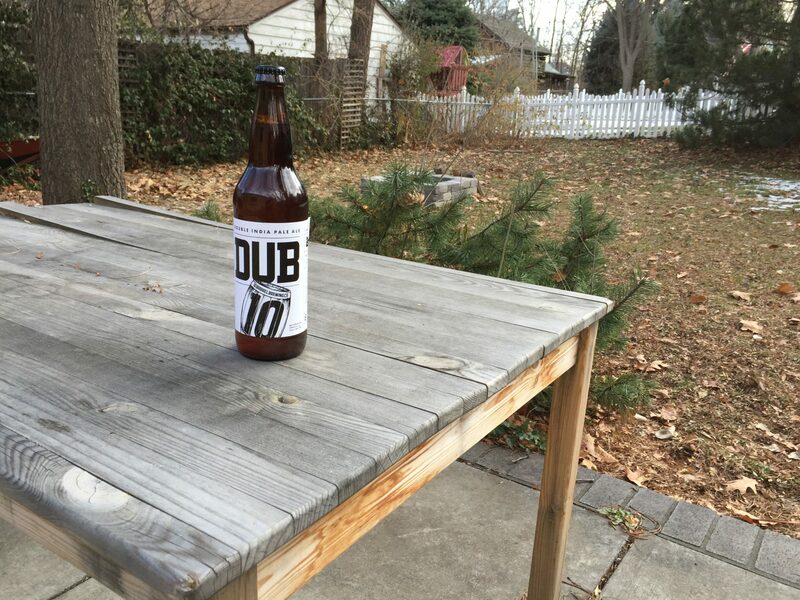 DUB Double India Pale Ale by 10 Barrel Brewing Co.
Dub Double India Pale Ale by 10 Barrel Brewing Co. is an extremely hop-centered and malty beer that represents everything the American Double style strives to be. Double or Imperial IPAs are everything you would expect from an India Pale Ale just turned up to 11 and Dub is no exception. When I sat down to do this review I was blown away on how tipsy I was after finishing the 22oz bomber, and this makes sense due to the abv weighing in at a whopping 9.5%. Needless to say I had to wait a couple of hours before writing and making this post. Dub is not an easy drinking nor balanced beer by any measure but that is just what 10 barrel was going for and what adventurous hopheads are looking for. I poured the 22oz bomber into a tulip glass in order to properly aerate the brew and I was able to enjoy two full glasses from the bottle. The head builds quickly to a thick white foam two fingers thick that dissipates in a moderate amount of time into a thin layer layer of cloudy white foam. The nose is predictably hop-forward but there are some citrus notes and an aroma of maltiness from the grain. The color on the pour is a hazy golden orange that diffuses light well. The taste is obviously hop-forward but the extreme malty quality of the grain balances it well. While this is not a beer for the hop adverse it is surprisingly drinkable and smooth for the 9.5% alcohol rating and the extreme amount of hops 10 Barrel uses in brewing. The conventional bitter aftertaste is present, but again not as big as I would have expected from such a large Double IPA. It is easy for a hop lover like me to finish the whole bomber in one setting, but I would be careful of what you are planning on doing after imbibing due to the high alcohol content. 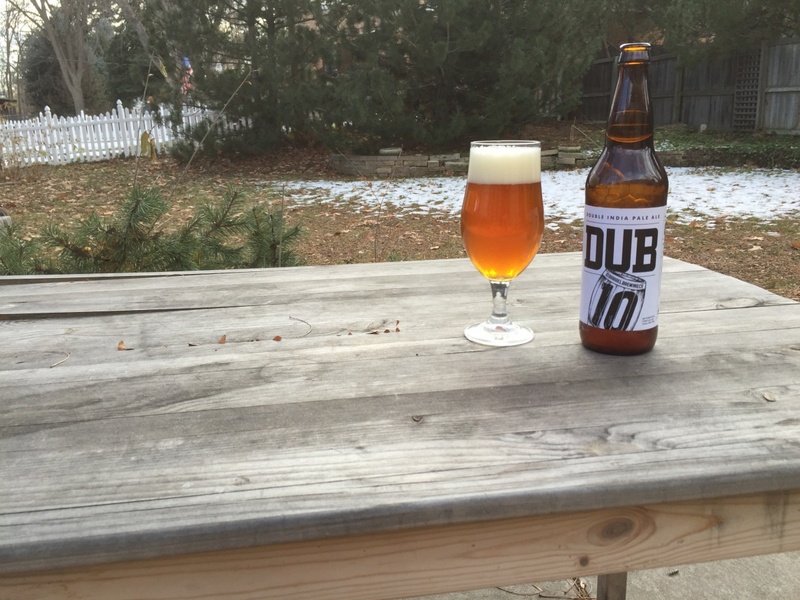 Dub Double India Pale Ale by 10 Barrel Brewing Co. is in no way suitable for the IPA newbie or those who do not love hops, but it is a great introduction for the hophead looking to enter the Double IPA style from the standard IPAs that they love. It is amazingly drinkable considering the hop profile and high alcohol content and I recommend it to anyone looking to become more adventurous in their beer drinking.